The warm evening light illuminates the roofs, turrets and domes; the Prince-Bishop’s Residence glows with a deep yellow; the gentle hills of the Franconian wine region are a lush green. People come together for a glass of wine on the Old Bridge over the Main, and enjoy the last rays of sunshine with a cocktail on the city beach. 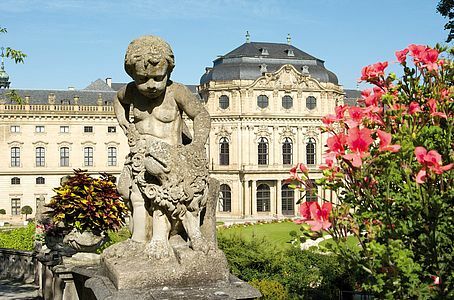 Those who leave the old town and climb up to the Marienberg Fortress are rewarded at the end of their walk: with a view that spectacularly highlights Würzburg’s unique position, the vibrancy of the city, and its cultural richness.